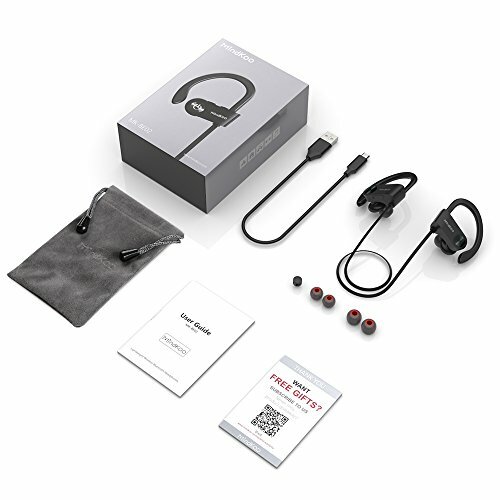 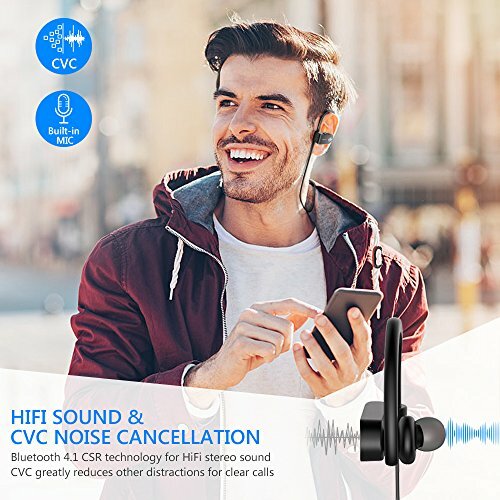 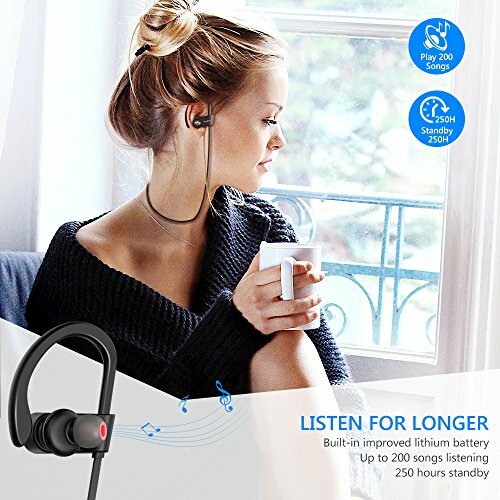 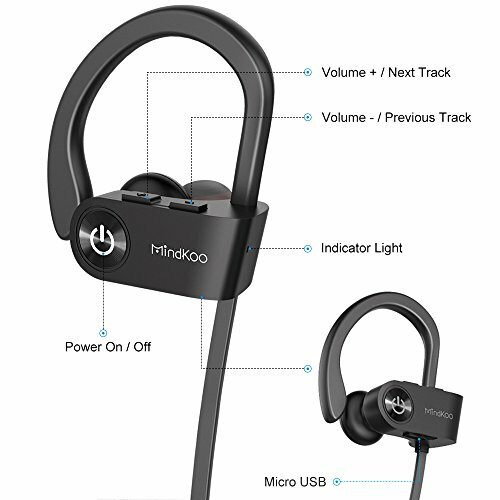 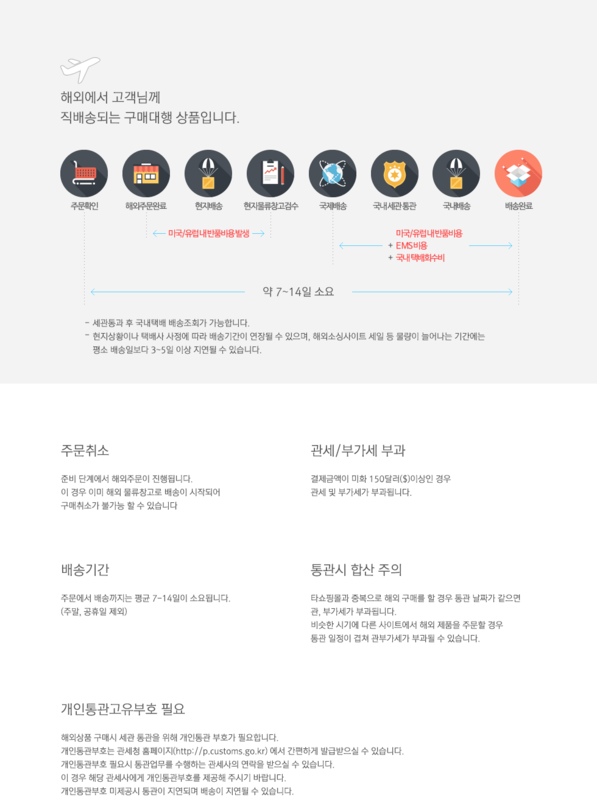 Bluetooth V4.1 provide the most stable connection with Bluetooth devices up to 33 feet away. 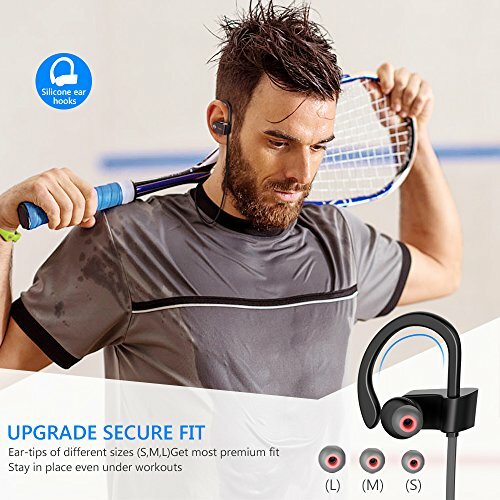 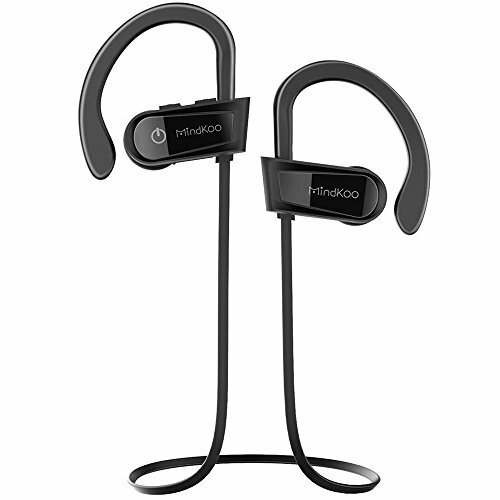 Lightweight and fashion with high-fidelity sound, perfect for outdoor sports such as running and more. 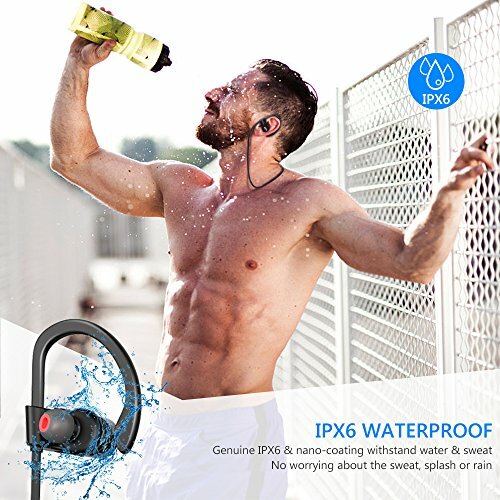 Water-resistant nano-coating efficiently protects sport headphones from sweat, splash or rain. 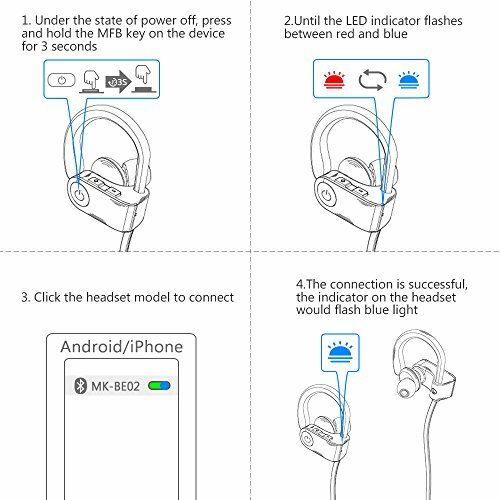 Advanced CVC 6.0 noise cancellation effectively resists external noise to transmits your voice clearly while calling. 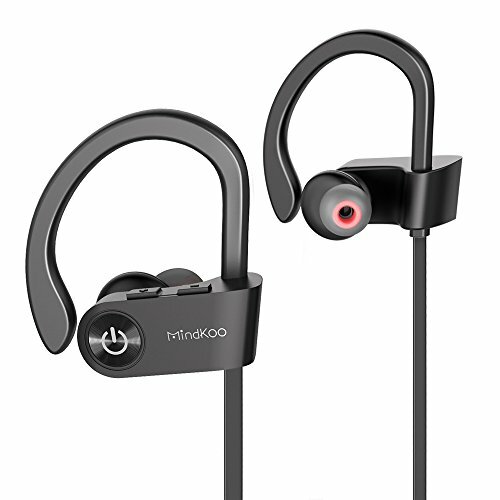 Ergonomically designed ear hooks and multiples sizes ear-tips provide perfectly snug fit and comfortable wearing.